You would think, after so many years of doing this, I would still not be dumbfounded at the lack of material in some aspects of our history. Yet once again, here I am, doing a heap of background research. For some time, I've wanted to work on a paper about the role of churches in western North Carolina and how they viewed the war, or what role they played, locally or nationally, in the war effort. 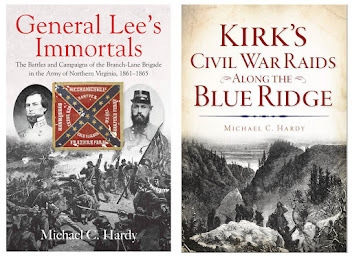 A few months back, I read Bruce Gourley's Diverging Loyalties: Baptists in Middle Georgia During the Civil War. 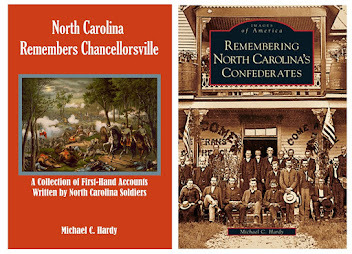 In looking through Gourley's bibliography, there are several articles on the role of Georgia churches during the war. Yet, in looking at places like JSTOR and NCLive, I find nothing that deals with denomination, nor any geographical area, in North Carolina, during the "Late Unpleasantries." Why is this? Is it because I'm really the only person interested in such topics? Or does it have more to do with North Carolina being a "Progressive" state, and Progressives really aren't all that interested in the past? 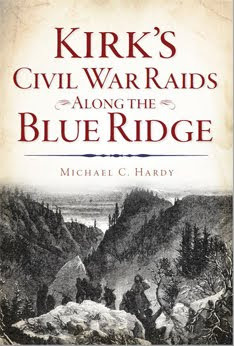 So, I've been working on this paper, looking at how the western (mountain) counties reacted to the War. Maybe one day it will appear in print. On Monday afternoon, I dropped off at the post office manuscript number nineteen. This is a manuscript I mentioned sometime back. It deals with Grandfather Mountain, and will be a part of the Images of America series for Arcadia Publishers. I've been taking a little time to reflect as of late, trying to figure out where to go next. Yes, I already have that next contract, a book dealing with the Branch-Lane brigade to be published by Savas-Beatie. I've been looking beyond that. Almost seven years ago, I gave up my job in a library at a local community college to write full time. And it has been an increasable experience. I've been to hordes of neat (historic) places, and met great people, and I believe, or at least hope, that I have been able to make some type of contribution to enrich the lives of people by my obsession with the past. 1. 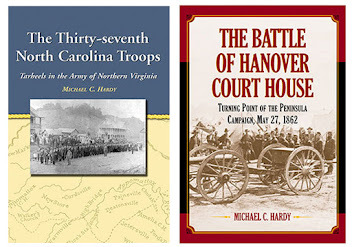 Keep doing what I am doing - plugging along trying to turn out well-researched books that help preserve the past. 2. Kick up my travels a notch. Last year, I did a little over seventy public appearances. 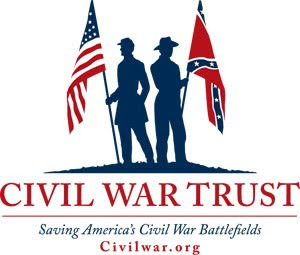 Maybe I need to try doing more events, like reenactments and civil war shows, etc. The problem with these events is that that they wear me out. I have no problems jumping into the car and driving two hours to spend another two hours with a group before coming home. I can handle that. It is the two days of almost constant conversation that wear me down. Plus, there is the added expense of traveling. For my short jaunts, I drive a Honda Civic - gets great gas millage. For a weekend event at a reenactment, I drive an F150 (crew cab, 4x4) - not so great gas millage, plus, some events charge a fee for me to set up, so the chances to make a profit are slim. If I go to a show, then there is the added expense of hotel rooms. 3. Change my focus. 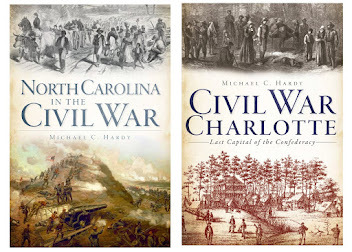 I write about the Civil War (mostly) because it is what I know, what I understand, what I am passionate about. But over the past two years I have become keenly aware of how other areas of history, and other locations, suffer greatly for someone with a pen to write about that place or time period. Maybe I am that person. Maybe diversifying even more would be better. 4. Go back to school and finish that MA in history. This would at least give me a chance to adjunct teach and make a dollar or two, while still researching and writing, to a degree. Of course, it would also limit my ability to travel. Any grad schools interested in a well-published, non-traditional student? 5. Become more of an activist. 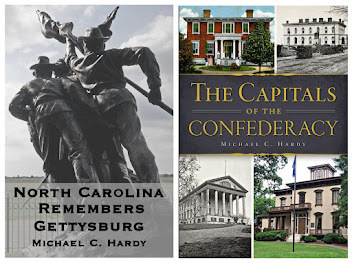 If you follow me on facebook, you probably know that from time to time, I post about the lack of historical education, the lack of interest, or about the lack of people who read. Maybe I need to cut back on my writing a little to work more on getting people involved. I'm not quite sure how this would work, but it is a possibility. 6. Go find a real job - park service or historic site or something. 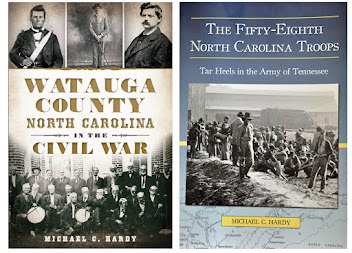 Anyone interested in someone who has a really good understanding of mid-nineteenth century American history, with a very strong concentration in North Carolina? So, on this rainy, blustery, cold fall day in October, that is where I am. Thoughts? Suggestions? Job Offers? A few of you probably know this, but for some time, I've been writing articles for a local magazine, Carolina Mountain Life. At the times, my articles cover topics related to the War, and at other times, they venture into other periods of history. In the last issue of Carolina Mountain Life, I had an article entitled "What's in a Name" (part 1). In this article I look at how places here in the High Country of Western North Carolina earned their names - like Boone (Daniel Boone) and Newland (Lt. Gov. William C. Newland). For a future issue, I've been working on part 2 - places that are not named so much for an individual, but for something else. Take for instance the Meat Camp community of Watauga County. It was so called because local hunters (in Daniel Boone’s time period) would store their meats and hides in the area while continuing to hunt. Working in this article has shown me a real deficiency in local history. There are many, many place where the meaning of these names, and who they are named for, have been lost to time. I've worked on an Avery County list for a number of years. I had a short list in my 2007 book Remembering Avery County. That list has expanded, but is still woefully incomplete. Over the past few days, I've also started working on a list for Watauga County. It started by pouring over the topo maps, and listing every single summit, ridge, creek or river, and post offices (old and new). The list is ten pages long, so there is a lot of work that needs to be done on this list. Of course, some places are easy. Boone was originally called Councill's Store, and in 1850, was changed to Boone, in honor of Daniel Boone. But many of these places remain a mystery. So let me offer to you a challenge - sit down with a site like www.topozone.com (you do not need to subscribe), and create a list of all of the named places. Then, start trying to figure out for what or whom those places are named. Look at old county histories, old newspapers, or talk to the older person in your community. Just work on that list (and document where you get your information). Future generations will appreciate you for it.